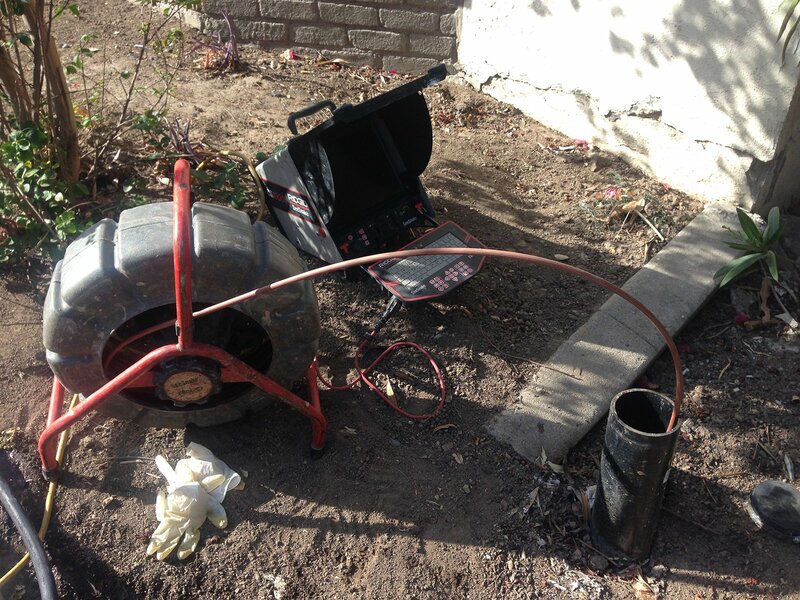 Whether you’ve been experiencing issues with your sewer system or you have an emergency on your hands, a sewer camera inspection from The Rooter Drain Expert Inc. in Granada Hills, California could be exactly what your drains need. At The Rooter Drain Experts Inc., we are proud to offer excellent sewer camera inspections for our customers in the Granada Hills area. Used as a diagnostic tool, a small, high-definition camera is threaded into your pipe by a Rooter Drain Expert technician. This provides crystal clear photographs of the state of your drains, and the nature of your problem. Depending on the reason for your camera inspection, it could also serve to catch additional, hidden issues, such as faulty pipe seals, pipe corrosion, or small tree roots beginning to force their way into your sewer system. Like all of our services at The Rooter Drain Expert Inc., a sewer camera inspection utilizes trenchless technology to minimize disturbance in your home or business. Only a small access point is required to reach your pipe, unlike traditional methods which necessitate digging up whole sections of pipe to solve your problem. Our cutting-edge technology not only saves your landscaping, it shaves a significant amount of time off your job. If for your business, it negates the possibility of customers being turned away due to the eyesore of an extensive, long-term construction project. Our sewer camera inspections are performed prior to any service, regardless of severity. This allows our plumbing system engineers to get a clear assessment of your pipe problem, as well as definitively locate its source. The diagnostic work also cuts down on the time your job will take by increasing initial accuracy and ensuring that the solution installed will fully address the problem. At The Rooter Drain Experts Inc., our experts recommend getting a routine check-up performed, usually about once a year. Though any time of year is suitable as long as outdoor temperatures are warm enough for soil to be soft and allow us to dig to pipe connections, the most popular seasons are early fall and late spring. With kids home from school, summertime brings extra traffic to your plumbing system, as does the winter season of holidays, with extra family and guests occupying your home. Making a sewer camera inspection and yearly drain cleaning part of your spring cleaning routine is a great idea that can forestall serious sewer system problems and save both your wallet and stress level. Don’t hesitate – contact The Rooter Drain Expert Inc. today! Our team of highly trained plumbing system engineers are ready to deliver prompt, professional service to you and your drains. Contact us anytime between 8am to 5pm from Monday through Saturday for expert consultations and fast response times. Located in Granada Hills, California, we have four additional branches throughout California, and are more than ready to solve your pipe problem today!